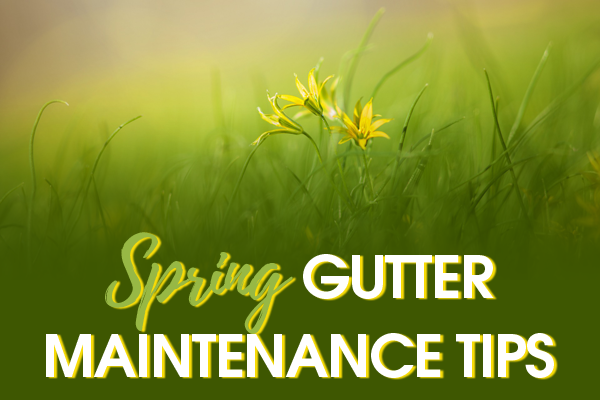 Spring Gutter Maintenance Tips • Gutters & Guards, Inc.Gutters & Guards, Inc.
April showers bring more than just May flowers—they can also bring leaks and water damage to your home if you’re not careful! Spring is an important season for gutter care. Spring storms can clog your gutters with debris and cause water damage to your fascia, soffit, and siding if the water overflows from your gutters. Water leaking from your gutters can even cause damage to your foundation if it’s not taken care of quickly. Follow our Spring gutter maintenance tips to protect your gutters and home this Spring! This tip may seem obvious, but it’s an aspect of Spring cleaning a lot of homeowners overlook. It’s important to clean your gutters at least twice a year, usually in Spring and again in the Fall. Clearing your gutters of any leaves or debris will create a clear pathway for the rain to flow and direct away from your home. This protects your home from any possible water damage. It’s important to take care of your gutter system and that includes more than just cleaning out debris. Check your gutters and downspouts for any damage—rust, loose screws, sagging or pulling away from the home. These types of damage to your gutters and downspouts can create bigger issues in the future if not taken care of. Giving your gutters a quick once-over can save you a lot of pain in the future! Make sure to repair any damage to your gutters and downspouts after you’ve located it. A loose screw may not seem important but could cause your gutter to come loose and overflow later. If the repairs are larger than a loose screw, such as your gutters sagging or pulling away from the home, call a professional. A gutter professional may also be able to identify any problems you didn’t notice. The best way to protect your gutters this Spring is to install gutter guards. There are different types of gutter guards, including screen mesh, drop in, and the MasterShield Gutter Guard system. No matter which kind of gutter guards you install, their goal is to keep leaves and debris out while allowing water to run through and away from your home.